Technology is drastically changing the face of the retail world. If you don’t believe it, look up the term “Digitally Native Vertical Brand” (DNVB). The use of technology has given rise to a new kind of retailer that has made online brands like Kasper and Harry’s household names, but it’s not technology alone that has created this change. A new kind of retailer exists because there is a new kind of customer. Customers who demand convenience and personalization from brands that fit into their mobile lifestyle are the new norm. These customers are not just mobile phone wielding millennials but include every generation, gender, and background across all demographics and socio-economic profiles. The use of text messaging via SMS, Facebook Messenger and web chat are how all consumers want to engage with you – and anyone else for that matter. Many retailers, 52.1% according to internetretailer.com, think there are applicable use cases for messaging but haven’t made it a top priority. 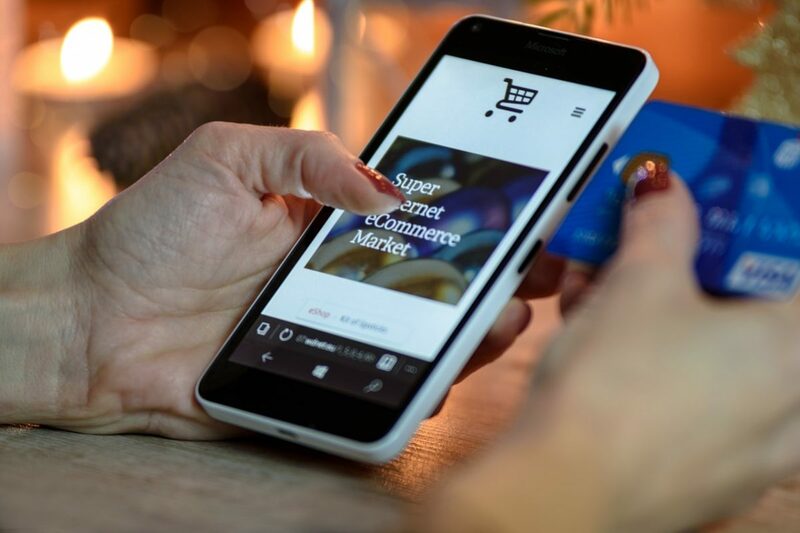 eMarketer reports that US retailer e-commerce professionals believe messaging makes sense for their business, yet only 29% of retailers employ it. Instead of phone calls about a return and an email message about the latest sale, retailers are using messaging (SMS, Facebook Messenger, web chat, etc.) to help consumers engage with their brand in a way that is easy, convenient, and the preferred method of communication for consumers. Messaging not only encourages consumers to communicate with retailers but signals that their time is valued. As retailers start to centralize their digital engagement channels with messaging, consumers are taking note and coming back for more. Using the consumers’ preferred method to communicate creates a favorable impression of that retailer in the eyes of the customer. Our research shows that the ability to text message a company causes consumers to select one product over another, improves their brand perceptions, and increases their willingness to pay more. Text messaging has a 96% open rate and most text messages are read within 3 minutes of receipt, according to Venturebeat, beating out even the best response rates of traditional ads and emails. Not only does messaging help retailers increase the chances that important messages are read, but helps them send targeted promotional campaigns and offers that their customers will find valuable. Quiq Messaging allows retailers to send outbound messages that are personal, relevant and timely, and to even receive replies directly from consumers. Our clients see this as a way to initiate a two-way, not one-way, conversations with customers. Our clients send order confirmations, shipping, and delivery notifications, and promotions to their customers, building the kind of transparency and connection that consumers are looking for with their retail experience. Customers no longer want to be viewed as one shapeless, heaving mass of consumerism. Technology has allowed consumers to be viewed, not merely as a mass market or a segment, but as a network of individuals who influence what retailers offer and what other consumers buy. The internet has made it easy for companies to offer products that are customized to consumers from custom tennis shoes to bobble heads. Communication should be no different. Customers want and expect communication to feel personal and purposeful – from offers and promotions to shipping notifications. Quiq Messaging offers retailers a way to tailor communications to every customer. Usually, customization is costly, but with Quiq Messaging, you’ll see a reduction in costs to serve your customer with an increase in customer satisfaction scores. Because messaging is asynchronous, agents can handle multiple messages at once, reducing work time by 25-50%. Retailers have the opportunity to embrace consumers new habits and leverage them to see quick wins. One of Quiq’s global retail clients commented about how silly it is looking back that she wasn’t more onboard with messaging in the beginning. This retailer has seen agent work time cut in half and she is now looking for ways to expand Quiq beyond the customer service desk to their IVR, web, and mobile sites. As retailers look to attract millennials, now the largest age cohort in the U.S., it makes even more sense to adopt messaging, the preferred communication method of these busy, tech-dependant adults who will likely have lots of questions. It’s not hard to deploy, and it is easy to adopt – consumers and agents love messaging. Quiq is helping retailers reach customers across all demographics with our easy to implement messaging solution, enabling customers to engage with companies via SMS, Facebook Messenger, web chat, and Kik. If you’re interested in learning how you can use Quiq Messaging to win big in retail, contact us for a demo.